Anyway to cut the long story short, I would say it was a challenge, this Tiramisu. 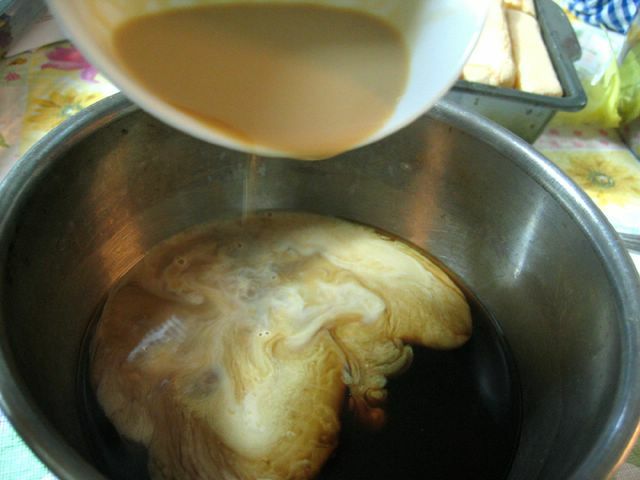 I didn't have enough liquid to soak all the lady fingers so I had to make a second batch. I think I know why. One thing to note when making this - don't soak the fingers too long. You want them just damp, not dripping with liquid. This will cause your tiramisu to be watery at the bottom. Mine was a little, but my friends loved it. In fact, one even commented that it's much better this way but that's because he didn't like his too dry. Hmm... This won't be my last time trying out a Tiramisu. There'll be plenty more chances. The remaining mascarpone cheese is still sitting in my fridge. Anyone care to contribute a recipe so I could use it up? 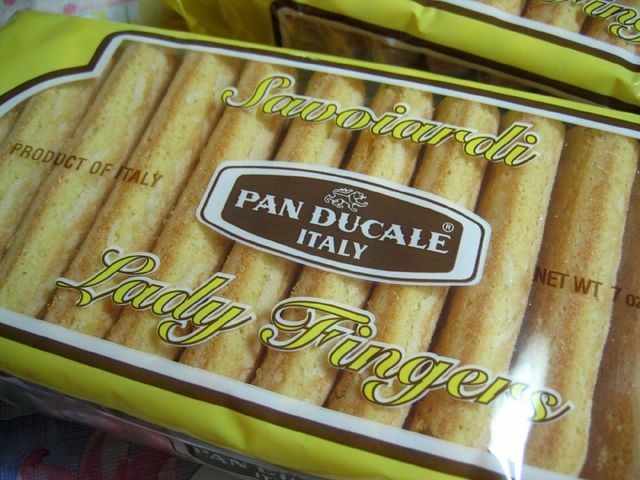 Note: Ladyfingers - light, flat cookies that are as long as a finger - are available in many food stores and bakerires. 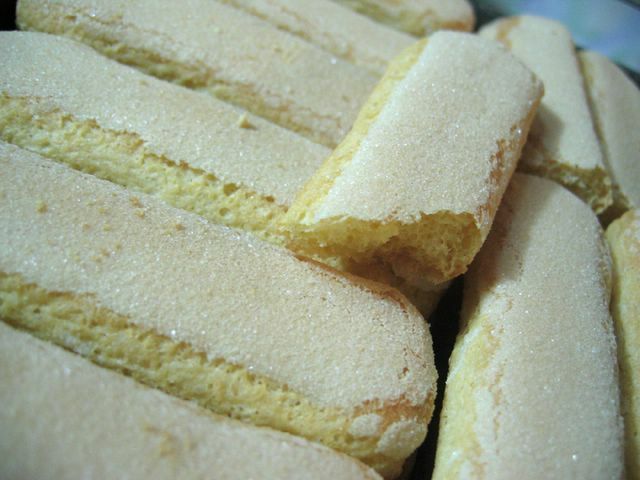 Savoiardi, the Italian version of these delicate sponge cakes, are sold in specialty-food stores and by mail order. This dish includes eggs that are only partially cooked. 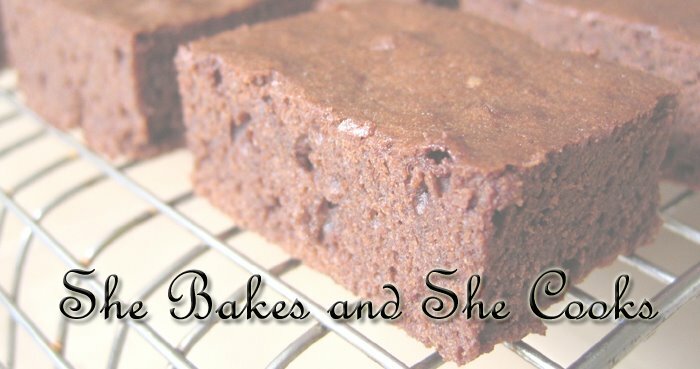 **Note from the baker: You can use Bailey's (like I did) and if you're in Singapore, you can find Savoiardi at Carrefour, under the biscuits section. I realised that with the savoiardi brand, you'd have to dip them longer inthe coffee mix. They don't absorb as much as other brands. I suppose it's a good thing, so that you don't end up with soggy tiramisu. Oh, if you add Marsala into the zabaglione, it'd add a nice touch too, flavour wise. nicholas: ya i did! i love tiramisu and I'm glad I finally got down to making it. 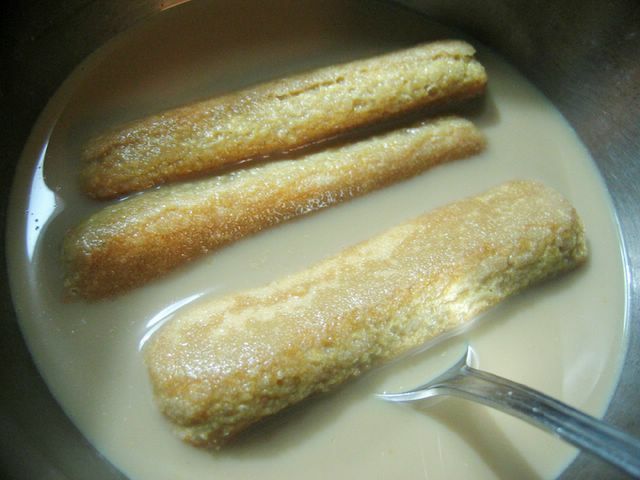 I have to make a tiramasu for a clients dinner party on Saturday. I think I'm going to use Ina Garten's( barefoot contessa) recipe. Her's looks similar to yours. nicholas: ahh marsala wine is hard to find eh? maybe i'll go down to paragon after all. 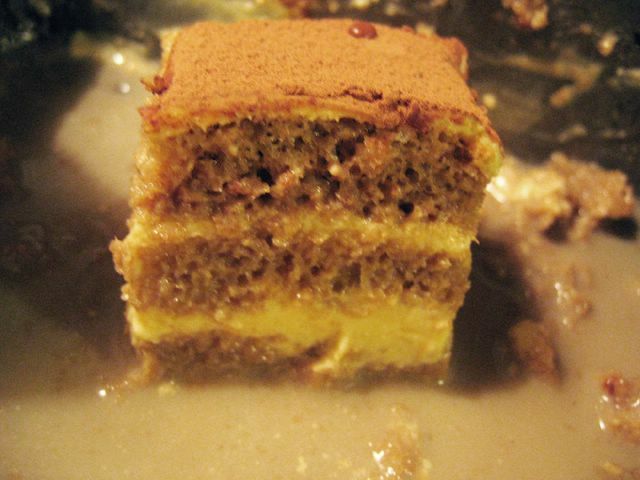 hi, you may want to try the classic tiramisu recipe from www.allrecipes.com. I used theirs, and it was good! and I like your blog!